Osama bin Laden’s sister and stepmother killed in mysterious U.K. plane crash. 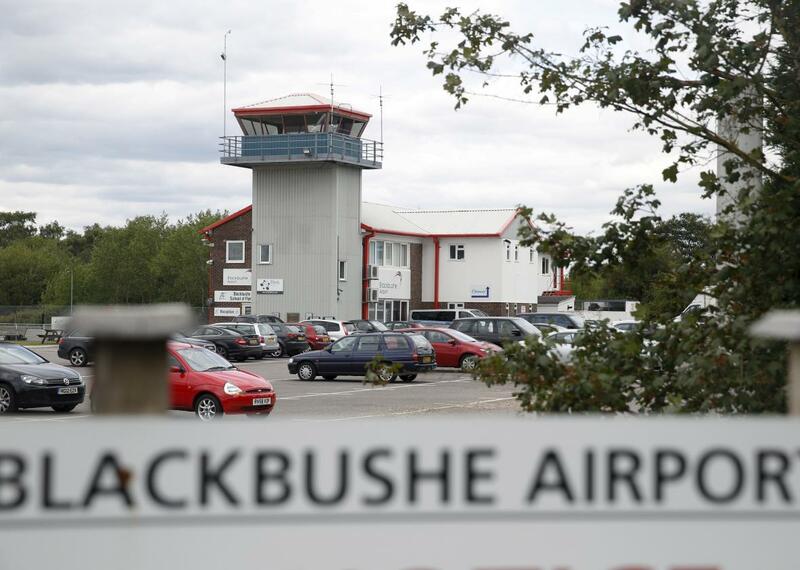 Blackbushe Airport is pictured near Camberley in southern Britain August 1, 2015. Three relatives of late al-Qaida leader Osama bin Laden were among the four people killed under mysterious circumstances when a private jet crashed in southern England. Bin Laden’s stepmother, Rajaa Hashim, his sister, Sana, and her husband Zuhair Hashim were immediately killed when the plane crashed into dozens of parked cars at a car auction site near Blackbushe Airport, reports the Telegraph. The family members were in the U.K. on vacation, according to police. The pilot of the plane was a Jordanian in his late 50s, reports the Associated Press. Many immediately started raising questions about why the plane crashed. The plane had used the runway several times in recent months and the crash happened in “near perfect conditions on a runway that was fitted with Precision Approach Pathway Indicators,” reports the Guardian. Those indicators point out to pilots if they’re coming in too high or too low. 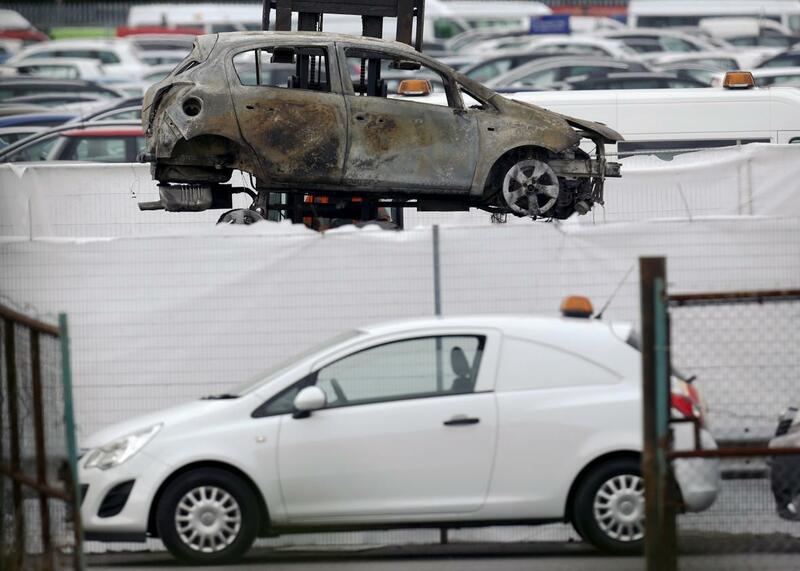 A burned-out car is removed from the site of an airplane crash at the British Car Auctions lot next to Blackbushe Airport near Camberley in southern Britain August 1, 2015. “It doesn’t make sense to me as an ordinary pilot why something that advanced and easy to fly would bury itself in the auction ground at the end of such a long runway,” said Simon Moores, a flight instructor and pilot. The bin Laden family is no stranger to plane crashes. Mohammed bin Laden, Osama’s father, was killed in a plane crash in 1967. One of his sons, Salem, also died in a plane crash in 1988.